Westinghouse is one of the original American electric companies, and made some of the nation's first ceiling fans. Many of these fans can be found today as antiques. Several companies have also made replicas of original Westinghouse models, such as Casablanca. As ceiling fans fell out of popularity in the 50s, and as the company changed hands many times, Westinghouse stopped producing ceiling fans and has not for many years. 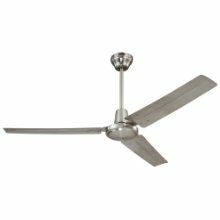 Below we have listed some of the most common replacement parts as it applies to Westinghouse Ceiling Fans. If you have a fan which is a few years old, sometimes these parts can get damaged or destroyed just through standard wear or usage. If you have kids, you may need to replace a pullchain for instance because they have pulled on it too hard and the pullchain has come out of it's socket. We also have reviews of ceiling fan screws, which can be used to attach your Westinghouse ceiling fan to the mounting or secure the canopy. 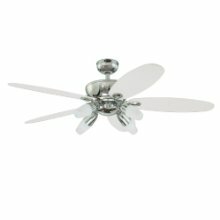 Recently fans are once again being sold under the Westinghouse name. Angelo Brothers Company licensed the name and trademark from Westinghouse Electric Corporation and formed the Westinghouse Lighting Corporation. Angelo Brothers made light bulbs and fixtures for many years, and previously obtained ceiling fan manufacturer Encon International. And so the Encon line of ceiling fans became the Westinghouse Lighting line of ceiling fans. It may also be of note that Encon previously owned the Monte Carlo line of ceiling fans, which was sold to Sea Gull Lighting. 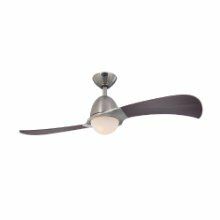 The current Westinghouse line of ceiling fans are inexpensive and designed to sell at hardware and discount stores in competition with home center brands such as Hampton Bay and Harbor Breeze. They do however offer many competitive designs and features, the strongest being the InstaLoc assembly system. The InstaLoc fans are preassembled at the factory with 75% fewer parts, and install with various pieces that snap together rather than screw in. Westinghouse claims they require 75% less time to install than other fans. 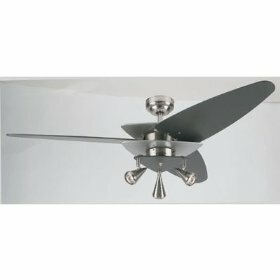 Not all Westinghouse models are InstaLoc, however, they offer a selection of over 20 various styles and finishes. 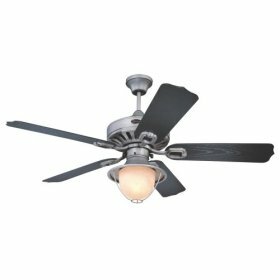 Westinghouse also offers many fan models that are not InstaLoc from the most basic builder models to ornate and contemporary designs. Westinghouse fans provide excellent options if you are looking for something inexpensive that will install easily.